After yesterday's early start for Cotswold Water Park my intended lay-in was interrupted by a message of a Red-necked Phalarope in summer plumage found by Blair Jones at Goldcliff Pools, Newport. Leaping into action I was soon on the road and the bird was present when I arrived, it was very much a case of 'record shots' only today because as usual the birds were very distant at the back of the lagoon. There were good numbers of birds present and the phalarope was associating with a flock of Dunlin, other birds present included the breeding Avocets, a cracking summer plumage Spotted Redshank, Common Redshank, Ringed Plover, Black-tailed Godwit and a Curlew Sandpiper. Lots of warblers as well including a couple of Lesser Whitethroats which unfortunately didn't oblige for any worthwhile photos. It was good to bump into and chat with Kevin Hughes who I'd not seen for twenty four hours ! !, Rich Webb, Blair Jones and Phil Bristow before leaving for home. I've been promising myself to re-visit Cotswold Water Park for the last few years in the hope of photographing Nightingale, although not in the numbers that existed previously due to habitat destruction by greedy developers building holiday homes for the rich they still exist in small numbers in sporadic locations. We heard and saw three different birds in territories close to each other and at one point had a bird singing no further that 3m away from us in scrub, could we get a close view, no chance !! We visited a few other pits and picked up a very distant Great White Egret and three Common Terns,there were lots of other warblers including my first Sedge and Garden of the year together with Chiffchaffs, Blackcaps and Willow Warblers. A very enjoyable morning and with 'mission accomplished' we called it a day and headed for home early afternoon. I worked today but have next Tuesday off instead, with an earlyish finish this afternoon I spent a couple of hours up at Garnwen and Maesteg Golf Club in search of Grasshopper Warbler and found two territories with one of the birds duly obliging. 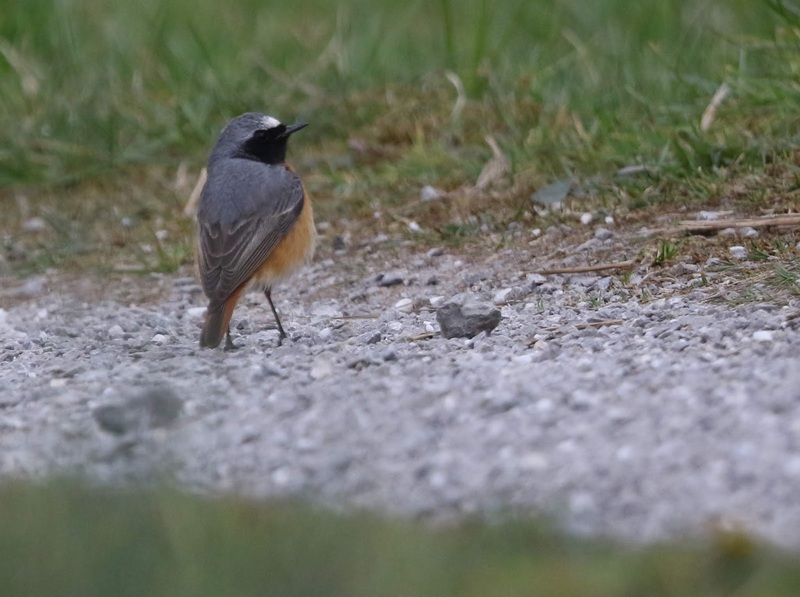 Here's a few images from this evening with a nice male Stonechat and a Meadow Pipit thrown in for good measure...…..